In a day when so many movies transition to TV and lose their identity in the process, it’s refreshing to see “Dear White People” hew closely to the film that inspired it. 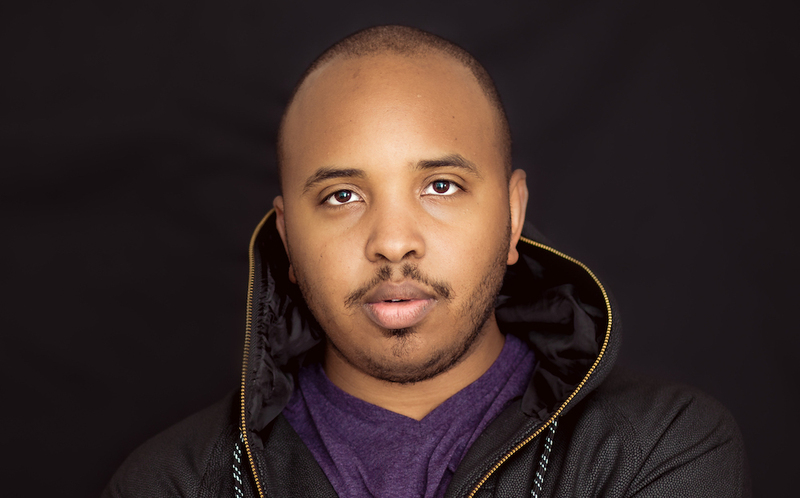 The story has been carefully altered and expanded to allow for fresh developments, but rather than list all the ways Justin Simien’s new Netflix series differs from his award-winning indie film, let’s focus on their shared identity. Identity is a prominent theme in the story of college kids struggling to discover who they are and what they stand for, and the series’ first two episodes feel deeply unifying. The premiere episode is a streamlined effort with an impressively strong voice; the next half-hour is equally affecting and vocal, an ideal split between entertaining and illuminating. Given it’s written and directed by the same man who led the film from IndieWire Project of the Year to the 2014 Sundance Film Festival, there’s no reason the show shouldn’t be exactly what its creator wants. Netflix’s involvement only furthers that idea of creative freedom, and after two compelling episodes, it appears Simien’s main desire in turning his beloved film into an ongoing TV show was to use the best elements of the movie to further discussions still vital to American culture. By shifting perspectives each episode, Simien takes an expansive look at the complexities of modern-day race relations, societal pressures, and personal responsibility, all without losing specificity. Now, that’s a great reason to adapt your movie for television. “Dear White People” opens on Winchester University, an Ivy League school torn asunder when writers of a collegiate humor magazine, Pastiche, throw a blackface party on campus. This party serves as the bedrock on which the series rests; as the narrator notes early on, each episode will unpack not only how the party came to be, but the role of each person in attendance — either as participants or protesters. We start with Samantha White, a junior media studies major (Logan Browning, in the role originated by Tessa Thompson). White hosts the college radio show “Dear White People,” which gives her the opportunity to challenge racial stereotypes at a predominantly white college. It also provides the series an opportunity to clarify the intent of its provocative title. Browning’s radio personality is distinct from her off-air portrayal of Samantha, and the authority she brings to a microphone is a wisely repeated strength. The first episode gives Samantha an impressive emotional arc: She goes from fight-picking rebel to an ousted, embarrassed kid, and back to a daring, honest, and insightful leader, getting behind the mic to comment on each development. So full is the episode, it actually runs three minutes over the half-hour run-time. That’s a common practice for Netflix shows, but often one that’s detrimental to comedies in need of a tight edit. This is not the case for “Dear White People,” which feels light on its feet from start to finish. The second episode clocks in at 29 minutes and covers nearly as much ground — this time, for Lionel Higgins (DeRon Horton, taking over for Tyler James Williams). A reporter for the school paper and socially shy, Lionel’s episode tackles the party from a different viewpoint: Rather than learn how it came about, we see what the party meant to Lionel. More importantly, his perspective expands the conversations at play in the series overall. “Dear White People” isn’t strictly about race. It gives voice to all oppressed, misunderstood, and marginalized communities, and is very clear about its prerogative from the start. Samantha provides the advocate’s perspective, carefully presenting her personal desires with the responsibility she feels as a leader — some of which she’s asked for, and some she hasn’t. With Lionel, the show represents the worldview of a gay black man, specifically one trying to accept his new identity without abandoning his values or being alienated from his friends. Herein lies the strength of the initial two episodes, as well as the original film. By tracking characters confident enough to challenge the status quo but young enough to adapt when challenged, the series never feels self-righteous. Moreover, Simien’s focus on the party as a game-changing event for everyone on campus grounds the characters’ responses in immediacy: They have to act now, and they do. They all do, which gives “Dear White People” an inclusive voice even as it shouts harsh truths. Given the rise in nationwide protests and societal discourse, the series may be even more timely than the film. Simien shows great situational awareness within his new serialized format. By thoroughly defining his characters, the show’s messages come across without alienating anyone he hopes to address. As quick to back up its arguments as it is to acknowledge differing opinions, “Dear White People” always feels like a personal story first and intelligent satire second. Between the movie and the first two episodes, I’ve spent three hours at Winchester. And I only want more. “Dear White People” premiered its first two episodes at SXSW. Netflix will release the full first season April 28.